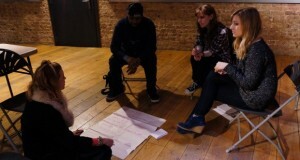 In response to the Wired4Music Manifesto, young Londoners are pledging to have a say in their own musical futures. Pledges range from personal vows to policy changes. Adults and organisations are pledging too. London is listening and people are embracing the value of empowering young musicians to have a voice. Want to add your pledge? Reach out to us by email (info@wired4music.co.uk) phone (020 7729 7228) or Twitter (@Wired4Music, #W4MLDN). Add your voice to this growing campaign and help us make a difference.